Following Adobe's announcement that BrowserLab is shutting down its service, Sauce Labs is pleased to extend a special offer to all BrowserLab users to try Sauce's cloud-based interactive testing service. We know change is hard, particularly when you're used to working with a certain tool. That's why we want to make the switch from BrowserLab to Sauce Labs as seamless as possible. You can learn about all the great benefits of the Sauce Labs cloud-based testing platform when you sign-up for a free 14-day trial. You will get 90 hours of automated testing, unlimited manual testing, and, in a major upgrade to our earlier promo code plans, access to 8 VMs to run your tests in parallel. To learn more about Sauce and our offering, read on as we first explore the similarities between the two services. Next we'll dive into the enhanced features that set us apart from other interactive testing tools out there. Finally, we'll go through a quick tutorial to get you testing on Sauce and start your free testing time! Cloud-based browsers Like BrowserLab, our service exists in the cloud so you never have to worry about setting up infrastructure. 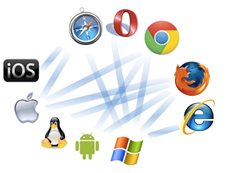 From Internet Explorer to Firefox to Chrome, we have all the major browsers covered for for Windows, Linux, Mac OS X. 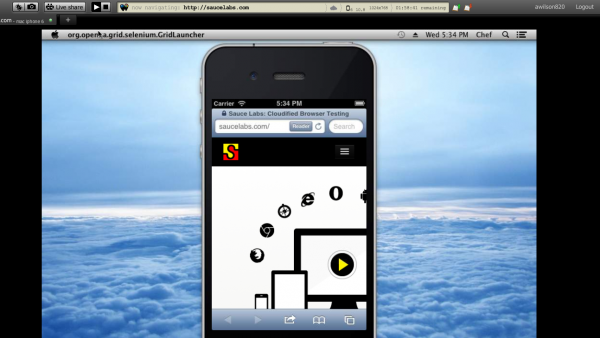 We even have mobile browsers on iOS & Android covered. Screenshots With Sauce, you can take as many screenshots as you like while exploring how your site looks across various browsers. Every screenshot gets stored on your personal account page so you can access and share them later with colleagues and friends. Localhost Testing With Sauce Connect Proxy, our secure tunneling solution, you can easily test local sites or ones behind a firewall. You can read more about Sauce Connect Proxy here. Interactive testing Each time you open a site on Sauce, we give you control of a real, live browser in our cloud to navigate your site. This not only provides visual confirmation that your website or web app looks how you were expecting, but that it's behaving correctly too. Your session will be free of left over cookies or junky data to confuse the testing process - just a nice clean machine and browser for you to test on. Extensive browser support Testing on Sauce means instant access to more 100+ OS and Browser combinations - including desktop and mobile browsers. 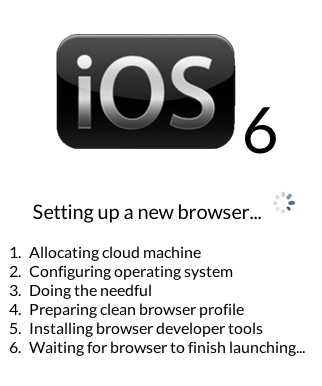 When a new browser is released, it's available in our service immediately. We also have a wide array of legacy browsers, including antiques like Firefox 3.0 and IE 6. Collaborative debugging Every browser in our cloud comes equipped with the standard debugging tools, like Firebug and the IE developer toolkit. 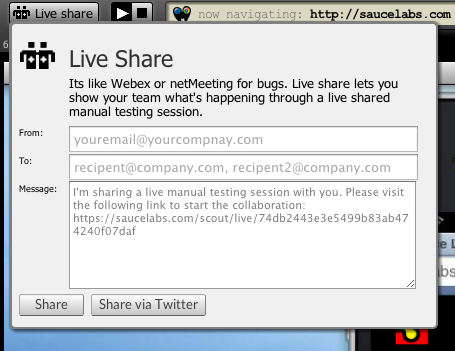 Additionally, we provide the ability to share your live test session with a co-worker for realtime, collaborative debugging. 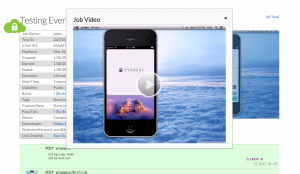 Videos As you test your site on Sauce, a video is recorded in the background every time. We find this comes in handy when the time comes to share bugs with the rest of your team - they can really see how the site responds and looks for an end user. To access the video, just close your session and visit your account page to see a list of all your videos and screenshots. Sounds great, right? So how do you get started? The first step is to sign up for a free 14-day trial account. Once your 14-day free trial runs out, you can extend your trial if you need more time (you will receive an email explaining how this is done) or upgrade to a paid account. If you're a PC user or prefer to use a browser from your Mac, after you have signed up and are logged into your account, you can launch a new interactive session right from your account page by clicking on "New Interactive Session." A box will pop up prompting you to enter your URL and select a browser and OS. Next you'll see a page letting you know we're spinning up your browser. Every time you test on Sauce, we provision a new, pristine virtual machine (VM) for you. When you're done testing, we destroy that VM, ensuring no data or cookies are ever stored or shared between users and sessions. (Read more about our careful approach to security). You are now in full control of the browser to start interactively testing your website! When you're done testing, simply end the session. You'll be automatically redirected to your account page, which is where you can access the video and screenshots from your test sessions. Here's an example of what that will look like: https://saucelabs.com/tests/2dfaab0f656a460297446b159ecdbc17.